It’s Pick Up the Harley Day! My buddy DreadPirateRoberts and his Father-in-Law took the four-wheeled cage and I followed along on my Beemer. 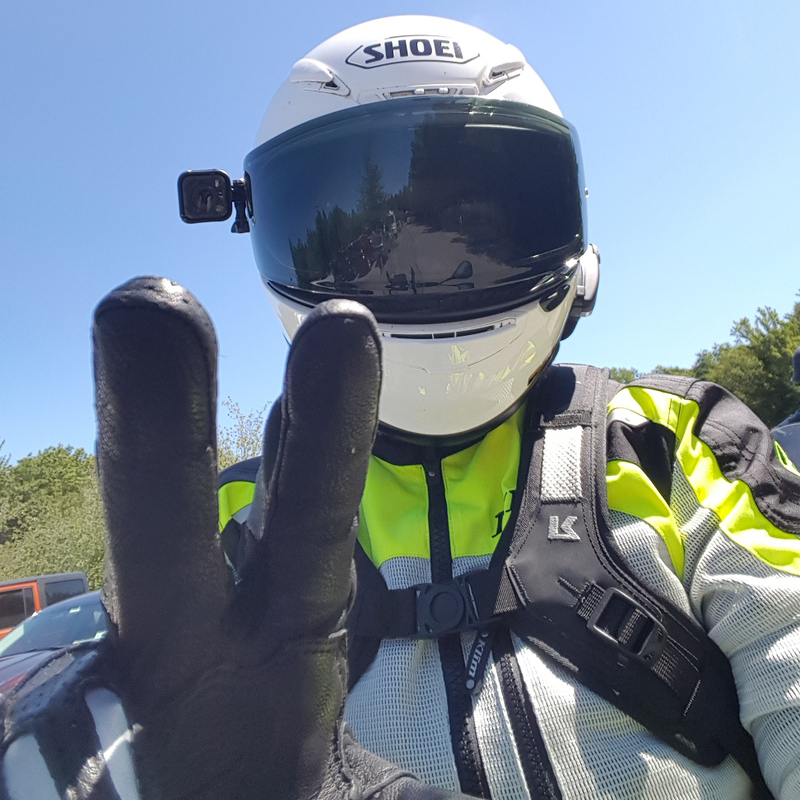 It’s a long haul to St. John’s / Mount Pearl and back but I was itching to ride and I sure as heck was going to drive back in a car while DreadPirateRoberts ride his Harley back. 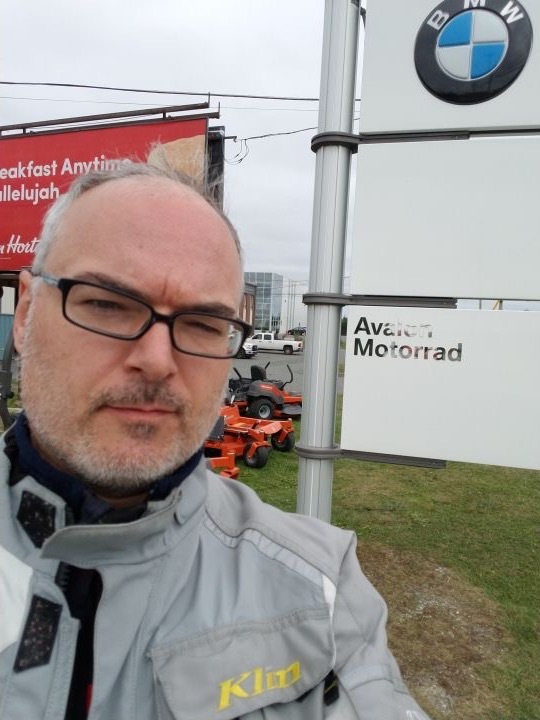 While they were at Rugged Rock Harley I headed over to The Toy Box / Avalon Motorrad and picked up an Avalon Motorrad t-shirt. I heade back to Rugged Rock. DreadPirateRoberts bought me a Harley tank top. I guess we have a new rule … if a bike breaks down causing a disruption in out travels plans, the owner of said bike must by everyone else some swag. Which is fine by me. Being on a BMW I’ll never need to buy anyone else swag. 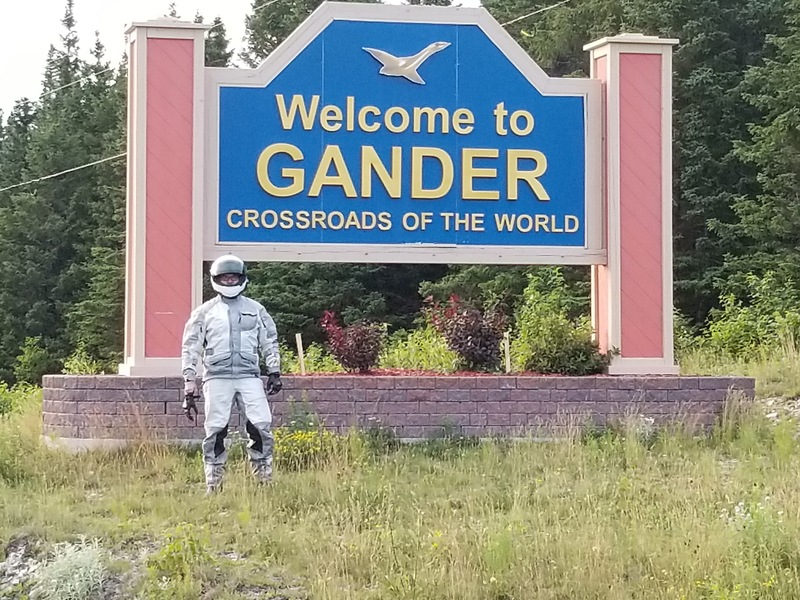 On the way back to the Lodge I got a pic by the Gander sign. Earlier in the year my Mother-in-Law had taken my Wife and I to see “Come From Away” so it was fun to get a picture.